The Committee met to consider its Draft Programme schedule until March, 2017, Revised Strategic Plan and the Annual Performance Plan for 2017 programme. The Draft programme was reviewed because some programmes had been postponed, for instance, the proposed dates for the oversight visit to Lesotho Highlands Water project were 28, 29 and 30 March, 2017. In addition, some programmes that had earlier been omitted had to be accommodated. The Draft Programme schedule until March needed to be submitted to the Parliamentary Chief for budget approval and to secure meeting venues. A meeting was scheduled to reflect on the State of the Nation Address as it related to the Water and Sanitation from the perspective of an economist for 15 February 2017. The terms of reference were on economic opportunities for Black industrialist programmes, job creation, infrastructure, skills and Youth development and Women empowerment. Members expressed concerns over the lack of service delivery that had affected water supply and quality in some municipalities, and identified the North-West province as priority areas. Outstanding petitions from some municipalities had been entertained, and new dates scheduled to entertain the latest petitions from other municipalities and receive updates on petitions that were entertained earlier. Members expressed concern over not having inputs on the Water Board tariffs but, the Content Advisor informed that there had been previous hearings on the tariff, however; it would be formalised after it had been tabled in Parliament on 15 March 2017. The Committee expressed concerns over Overberg Water Board’s non-compliance to Government prescripts because they had missed the deadline on submission of annual reports to the Office of the Auditor General. Any entity that did not meet deadlines for submission of annual reports was operating illegally. Other concerns expressed by the Committee included: not having updates on the Acid-Mine initiatives that involved establishing plants to curb the dangers of acid water pollution; upstream coal mining operations in Game protected areas and drought stricken communities that had rivers; lack of access to potable water by people that lived in low cost houses and loss of livelihoods due to insects that infiltrated the water in the Jojo tanks. Members proposed dedicating one or two Fridays a month to hold merged meetings between key officials in the municipalities such as Member of the Provincial Executive Council and Heads of Water Affairs and Water Board Entities to discuss intervention programmes and progress on water supply and quality; tabling of the Committee’s third quarter report; prioritising the issue of the Irrigation Boards because they supply 70% of the water utilised in the country; address the role of the Committee in the appointment of candidates to Water Board entities during the legislation review of the Water Services Act; address the issue of dam management programme because the Department was losing capacity in dams due to lack of infrastructure; presentation of updates on milestone achievements such as the Water Research Amendment Bills, Norms and standards for tariff settings by the Department and Water Use authorisation applications as the year progressed; a guide to access the Committees’ Medium Term Framework achievements based on its oversight of Department functions; a review of the impact of Water Resources on Climate Change Strategies that would ensure that the Department had a direct role to play on climate change since water supply impacts on drought; considering the impact of health on water and sanitation in its strategic plan; include a brief on the update of the establishment of the Water Infrastructure Agency in its Draft Plan; get feedback on Catchment Management Agencies from the Departments; follow-up on National Prosecuting Agency and South African Police Service promise to strengthen their operations to prosecute water polluters and address the issues of Capacity development for Members in the relevant areas of water and sanitation. Non-compliance with legislative prescripts by a Government entity was a serious issue therefore Overberg was operating illegally; water supply was at a central position in drought issues; cross cutting areas of water and sanitation included sectors like health, agriculture, environment and mineral resources and the Committee needed to have Joint sessions with the Committees of these sectors; the Department did not have the necessary capacity to deal with water polluters and thieves. It was resolved to hold merged meetings on Fridays, which would involve the Water Board officers and key officers such as Member of Provincial Councils and Heads of Water Affairs in the affected municipalities that would focus on targeted solutions to service delivery challenges; hold a specific entity accountable for delivery or non-delivery of services to the community; follow-up on legislation to empower the Department to persecute water polluters and thieves should be factored into the Water Resources Amendment Bill; the need to assert with Government itself to ensure its participation in oversight functions that pertains to water and sanitation; continue with options such as liaising with the Minister and the Office of the Auditor General to establish reasons for delay in submission of the Overberg Water Board annual reports and subsequently applying legal opinions if not satisfied; and requests for updates from the Departments, Water Board entities and municipalities on pending issue. The support staff was instructed to compile information on capacity development opportunities for Members and update the Committee. The strategic plan was adopted. The Chairperson said the meeting would enable Members to have a clearer picture of what was envisaged for the year ahead. Also, the Committee should have embarked on a Study tour initially but this was suspended for an Oversight visit. The Oversight visit was also postponed hence the Committee had to convene to re-plan its programme. There would be no meetings the following week due to the State of the Nation address (SONA) after which a meeting was scheduled for 15 February to reflect on the SONA as it relates to the Water and Sanitation (W and S) sector. He invited Mr T Manungulana, Committee Researcher, to brief the Committee on the progress made on the meeting scheduled to reflect on the economic implications of the SONA. The Committee Researcher stated that terms of reference (TOR) had been prepared to outline the expectations from the economist. The Researchers had sent the TOR to the economist and were waiting for response on the resources that would be needed. The Chairperson mandated the Researcher to give more details on progress made. 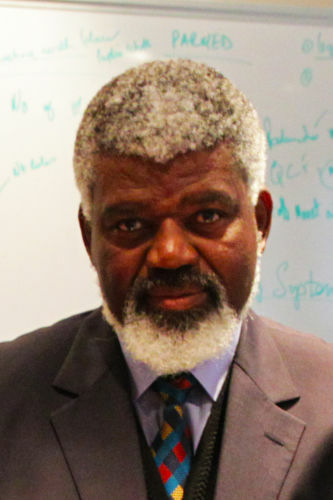 The Committee Researcher reported that the economist would provide information on implications of the SONA in terms of Water and Sanitation on issues such as economic opportunities for Black industrialist programme, job creation, skills and Youth development, Women empowerment and infrastructure development. 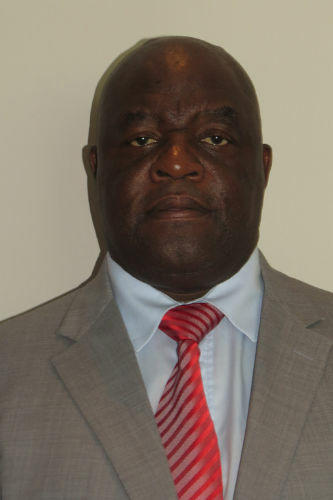 The former chairperson of the Financial and Physical Commission (FPC), Mr B Khumalo and other economists around Cape Town had been identified as potential candidates; however, a final response would be given to the Committee by the end of the day. The Chairperson remarked that the team had presented Mr B. Khumalo due to his ten years of experience on FPC specifically in the Water and Sanitation sector. He invited Mr L Basson (DA) to comment on the issue. Mr Basson stated that his comment was not specifically on the issue but observed that some municipalities in North West had blamed the Water Board Entities (WBE) on lack of service delivery. The Chairperson suggested that the issue of lack of service delivery would be discussed as the meeting progressed. Entities have submitted their reports, with the exception of Overberg whose report is with the Office of the Auditor General (AG). Consequently, the dates proposed for meetings with Entities were between 22 February and 8 March 2017. He however, observed that the Committee was still not in alignment with some Water Entities that were reporting to the National and Provincial Government departments. Hence these entities are still within the municipal financial year and are presently deliberating on 2015/2016 reports. This activity was slotted for 15 March, 2017. In addition, a proposed agenda item that considered outstanding petitions from Tzaneen and Inxuba Yethemba municipalities that had been entertained. The Committee had requested these municipalities for an update on their circumstances based on Committee recommendations. The latest petitions that had been received by the Committee were from Ekurhuleni and Tembisa in Gauteng, and Riebeek East in Makana local municipality. Eastern Cape Province would also be considered by the Committee during this period. Ms T Baker (DA alt) asked if the Committee would still consider the Water Board (WB) tariffs and annual reports of WB simultaneously as contained in the Draft programme. The Chairperson invited Content Adviser Ms S Dawood to inform the Committee on the process for setting tariffs by the WB. Ms Dawood said the WB tariffs would be tabled in Parliament on 15 March. The rationale for increase in tariffs could be understood by looking at the financial viability and expenditure incurred by the WB. The Chairperson asked if the Committee could have an input on the tariff on 15 March, 2017 or if it was solely being tabled in Parliament alone on the date. Ms Dawood stated that there had been previous hearings on the tariff however it would be formalised after it had been tabled at Parliament on 15 March 2017. The Chairperson said although the fixing of water tariff was cumbersome the Committee should have an input. However; the Committee only participates after the water tariffs had been fixed. He also asked Mr Manungulana to give an update on the tabling of the second and third quarter report. Mr Manungulana said only the second quarter report had been tabled but the third quarter report was still being prepared; the third quarter report should be ready to be tabled on 22 March, 2017. The Chairperson approved the tabling of the third quarter report for 22 March, 2017. The oversight visit to Lesotho Highlands Water project was proposed for 28, 29 and 30 March, 2017 during which Members would interact with Members of Parliament from Lesotho. He invited Members to give comments on the proposed programme of the Committee. Mr Basson stated that Ngaka Modiri Molema District Municipality (NMMDM) in the NW province had continuous challenges on water quality which had made people in the municipality sick. He suggested that the Committee request that the Head of NMMDM in the NW province attend the Annual statement presentation of the WBE in charge of its water distribution so that issues on water quality would be accommodated. Ms M Khawula (EFF) observed that the Department of Co-operative Government and Traditional Affairs (COPTA) was not cooperating with Madibeng local municipality and had abandoned water distribution and water quality in the municipality. Since Madibeng local municipality was not the only Municipality affected COPTA should be held accountable. The Chairperson agreed with Mr Basson’s proposal concerning the invitation of Heads of municipalities to the presentation of Annual statements by WBE’s. Such briefings would highlight the challenges that the municipalities were facing and make it easy to provide solutions to the challenges. For instance, municipalities such as Tzaneen, Chris Hani and Madibeng should accompany Lepelle North WB, Amatola WB and Magalies WB respectively during the presentation of their Annual statement and intervention programmes. These merged briefings would save the time of inviting these municipalities individually or visiting such municipalities. Mr Basson supported the Chairpersons’ proposal and suggested that the feedback from deliberations of Green and Blue Drop reports on issues such as defaulting municipalities should be added to the Draft programme and considered in the discussions of 15 February 2017. Mr H Chauke (ANC) agreed with the Chairpersons’ proposal to involve the municipalities with the WBs that represent them because these entities do not have synergy. These meetings should be allocated more time during the presentation of the WBs so that issues such as non-payment and lack of capacity in the municipality to deliver and maintain the Water and Sanitation packages would be discussed. The agenda should also include the issues of rationalisation so that the Committee would be familiar with all issues. Based on the contributions of Members, Ms Baker suggested that the Province should be invited since the municipalities involved were many; the Committee could invite the specific municipality at a later stage. Ms Khawula asked the Chairperson to advise on the role the National Council of Provinces (NCOP) could play in light of the challenges being faced on water distribution and quality in terms of dealing with these municipalities, particularly when some municipalities, for instance Ngonyameni in Eastern Cape and some parts of KwaZulu-Natal that were recently faced with drop in water levels. The Chairperson said the Committee was faced with a major challenge, however there were two options: to have merged meetings between WBE and identified municipalities affected (even when most of the WBE cover whole provinces) or visits by the Committee to each of the Provinces that comprised of specific visits to identified municipalities affected. The challenges identified with these two options were that precious time would be spent on merged meetings while it will become cumbersome if the Committee had to visit each affected municipality in the Province since most of these Provinces had a lot of municipalities affected. He resolved that since Parliament had the responsibility of holding the Executive accountable, the Committee would hold a specific entity (WBE or affected municipality) accountable for delivery or non-delivery of services to the community. The specific entity to be held accountable will be decided during the merged meetings. Mr Basson agreed with the Chairperson’s resolution but suggested that it might be appropriate to summon some of the WB’s and affected municipalities on a Friday once or twice a month because it might be difficult to get Parliament’s approval for provincial and municipal visits. The Chairperson asked the Committee Secretary to work out the logistics of these specific merged meetings. He supported Mr Basson’s proposal of hosting some of the WB’s and affected municipalities one Friday a month without combining these meetings with the briefing on annual reports. Ms Dawood suggested that the Committee should include constituency issues in the once a month Friday meetings. The Chairperson said the Committee should agree that the Friday meetings would involve the WBE and the affected municipalities with key officers such as Member of the Provincial Executive Council (MECs) in attendance. These meetings would comprise of briefings on challenges experienced and targeted solutions to the challenges. Mr Chauke agreed with the proposal but observed that based on the Draft programme the meetings with the Magalies WB and Sedibeng WB would only come up in March, 2017. He proposed that as a result of the urgent intervention needed in the NW municipality the Committee should prioritise the merged meetings of the Magalies WB and the NW municipality and other affected municipalities earlier than meetings of other provinces. The Chairperson asked the Committee Secretary to state to what extent the draft programme had been circulated. The Committee Secretary confirmed that the Draft programme had been circulated to the Department. The Chairperson instructed the Committee Secretary to withdraw the circulated Draft programme and present the amended Draft programme to the Department. He also resolved that based on priority list of the Committee the merged meetings of WBE in the NW province would take first place. In addition, the merged meetings would involve progress reports on interventions by the WBE. Mr Basson reminded the Chairperson that communities in the NW province had greater challenges on water quality therefore merged meetings with the WBE of these communities should come first. The Chairperson therefore suggested that the merged meetings would start with Magalies WB and Sedibeng WB on 17 February, 2017 because their MEC would be in attendance. Ms H Kekana (ANC) agreed with Mr Basson’s suggestion and stated that the Committee should complete discussion issues in prioritised provinces before inviting other provinces. Ms Khawula was grateful for the cooperation between Committee Members. However, the Committee should also invite the Head of water affairs in each municipality to the merged meetings. The Chairperson resolved that the Committee would host Magalies WB and Sedibeng WB in conjunction with its MEC’s and key officers in the respective municipalities would brief the Committee on its Annual reports and intervention programmes on water quality on Friday, 17 February, 2017. In addition, there would also be a report on the interventions in the Kgetlengrivier Local Municipality. He further invited the Members to consider issues on Rand WB. Ms Baker stated that uMngeni municipality should be invited along with uMhlathuze municipality when Rand WB was invited. The Chairperson asked for confirmation of the local municipalities that were supplied by Rand WB and if there were any specific challenges in on water quality in uMngeni municipality. Ms Khawula remarked that Pinetown, Hammansdale and some other local municipalities received water from uMngeni municipality. Mr Chauke suggested that the Researchers should highlight challenges on water and sanitation that had earlier been identified in the affected areas of each municipality and present it to the Committee before the meeting with the WBE. Mr I Cebekhulu (IFP) agreed with the suggestion of Ms Baker to include both the uMngeni and uMhlathuze municipality to identify which entity was responsible for the provision of water to these communities on the northern side of KwaZulu-Natal. Another challenge faced by the Department was the withdrawal of water trucks that supplied water to these communities. The Chairperson stated that the invitation of both uMngeni and uMhlathuze municipality made sense but observed that other matters that would be communicated to the Department through Mr Manungulana was the request for updates on Jozini augmentation that had favoured the local communities in Makatini Flats in KwaZulu-Natal and progress reports from the WBE through the Department so that the WBE would be prepared before the merged meetings. Ms Baker suggested that the WBE in Mpumalanga should be invited on the day that Rand WB was invited. The Chairperson resolved that Amatola WB and Rand WB would be scheduled on the same day. He also suggested that Bloem WB and Overberg WB should be scheduled for the same day. He sought clarification on the readiness of Overberg WB from the support staff because Overberg WB had a legal issue since they did not meet with the deadline on submission of their annual report with the Office of the Auditor General. He proposed that the Committee would get reports on Green and Blue Water Drop, Water tariffs and feedback on outstanding petitions on Tzaneen, Inxuba Yethemba, Tembisa, Riebeek East and Ekurhuleni on 15 March, 2017. The issues scheduled for 15 March were much and resolved that some of the programmes would be shifted to 22 and 23 March, 2017. He also proposed that the work on the Irrigation Board should be dealt with during the period under the Draft programme. He instructed the Committee Secretary to complete the amendments on the Draft programme and send it all Members of the Committee. The support staff informed the Committee that the AG would complete the audit report in two months consequently; the report of Overberg WB might only be available to the Committee by April, 2017. The Chairperson asked Ms Dawood to advise the Committee of the legal implications of Overberg WB’s non-compliance with Government prescripts. Ms Dawood reported that the legal opinion obtained earlier with regard to non-submission could be used in this case. The Chairperson remarked that the Minister had written and he was still liaising with the Minister on the meeting date because non-compliance with legislative prescripts by a Government Entity was a serious issue therefore Overberg was operating illegally. Mr Chauke said the reports get tabled to the Minister at the same time at the end of the year and if an entity does not submit at the right time the entity must state clearly the reasons why the report was not completed. In the same vein, the entity cannot give a reason that the report is been delayed by the AG’s office. Therefore, the Committee can liaise with the AG’s office if the Minister cannot explain the reason for the delay. In view of this, it means the Entity cannot operate because without the audit reports the entity would be operating illegally. He proposed that the Committee needed to prioritise the issue of the Irrigation Boards (IBs) because they supply 70% of the water utilised in the country. Ms Khawula observed that Overberg WB shows lack of respect for the Committee and therefore proposed that the Committee take drastic disciplinary actions against Overberg WB. The Chairperson proposed that the Committee needed to have a whole day to discuss the way forward on the IBs. He asked Mr Manungulana to state the number of IBs presently in operation. Mr Manungulana stated that he would give a report on the numbers because the IBs had been undergoing transformation since 2008. The Chairperson asked Mr Manungulana to clarify if the IBs were undergoing transformation or had already being transformed. Mr Manungulana reported that the IBs were currently undergoing a process of transformation. In addition, some of the IBs have completed transformation processes while some have not. The Chairperson observed that the Committee did not have much information on the IBs, therefore, he mandated Mr Manungulana to compile reports on the state of IBs before the Committee started discussions on the IBs. He asked the Committee Secretary to include the new amendments to the Draft programme and circulate the amended Draft programme to Committee Members. Mr Basson suggested that the Committee Secretary provide a register that lists the dates when requests are sent out to the Department and captures the dates that the responses from the Department are received, and that this register will measure the response time of requests made to the Department so that delays would be avoided and urgent issues are attended to promptly. The Chairperson accepted the proposal and asked the Committee Secretary to make the register available to the Members since the Committee had different issues with the Department that needed responses from time to time. Ms Khawula suggested that the Committee should link up with Portfolio Committee on Environment Affairs to address the issue of contaminated rivers. The Chairperson accepted the proposal but stated that the major challenges the Committee and the Department was facing had to do with cross cutting issues on Water and Sanitation such as manufacturing, mines and human settlements that affected people daily. He instructed Mr Manungulana to include these issues in the agenda that the economist had to consider on the SONA. Ms Baker stated that Members last year requested bound copies of Acts and Legislation that pertained to the Committee. The Chairperson agreed with the suggestion and asked the Committee Secretary to make the compilation and stated that it would make the work of the committee easier as offices like the AG had a bound copy that they used. Ms Baker remarked that the CS should make a list because there were several Acts and Legislation that pertained to the Committee. The Committee Secretary said packs had been made available to the Committee earlier but the support staff could send the packs again. The Chairperson stated that he was reminded that during the workshop it was resolved that the first draft of legislation which was not available during the third quarter would be made available during first quarter. He proposed that the Committee should include first briefing on the Water and Sanitation Act which was a new legislation in its Draft programme. The programme was scheduled for 17 March, 2017. Mr Basson added that during the workshop the Committee had requested an update on the Water Plan. The Chairperson resolved that the update on the water Plan would also be presented alongside the Water and Sanitation on 17 March, 2017. The Chairperson invited Members to discuss the Draft Annual Report on the Activities of the Committee. Draft Annual Report on the Activities of the Committee. Mr Chauke observed that his name was not included on the list of members in the Draft Report of the activities of the Committee. The Chairperson instructed the Committee Secretary to make amendments, and to clarify the third bullet point on the mandate ‘facilitates the appointment of candidates to Entities’. The Committee Secretary reported that this was relevant for Chapter Nine institutions but was not sure if the clause was appropriate for the Committee on Water and Sanitation. The Chairperson invited Mr Chauke to make comments. Mr Chauke reported that he was not sure if the clause applied to WBE because Chapter Nine institutions might not refer to WBE because they are constitutional bodies employed by the Executive. The Committee should obtain clarity on the clause as guided by legislation in place. The Committee needed to reflect on the pending legislation because some Boards did not feel that they were accountable to Parliament. The Committee should also engage the Boards on their capacities to ensure that experienced staff were on their Boards. Ms Baker stated that the Committee had no role in the current legislation because it was clearly spelt out in the Water services Act and the PFMA. She however advised the Committee to make sure it was documented if it wanted to play a role in the appointment of candidates to Entities. Mr Basson agreed that the Committee needed to be part of the appointment of candidates to Entities especially the Director General since the Committee had to work with members of the Board. The Committee needed to make a case to be part of the process even if it was only the Chairperson. The Chairperson suggested that the Committee Secretary should make a full list of members of the WBE before the Committee had meetings with the WBE. In addition, when the legislation review of the Water services Act was conducted the role of the Committee in the Boards should be addressed. The budget vote for the oversight visit was accepted however from the outcomes on droughts interventions and drought relief programmes. The Committee had not factored any discussions on droughts into the Draft programme despite being the major Committee affected by droughts. He resolved that the briefing on drought interventions and drought relief programmes should be fixed for 10 March, 2017. The Committee Secretary suggested that some Entities such as COPTA and National Treasury should be invited. The Chairperson instructed the her to extend invitations to COPTA and National Treasury and continued with the discussion on the Draft Report of the activities of the Committee. Ms Baker suggested that discussion on the action plan on reduced storage of dams due to increased threshold levels should be revisited because the Department had stated that the Council for Scientific and Industrial Research (CSIR) has conducted a study; documents would be released this year and the strategy would be incorporated in the Department’s plan in the next financial year. Because the action plan dealt with dams the Committee should have a discussion and slot it into the Draft programme. The Chairperson agreed that discussions on the action plan on dams had not been included in the Draft programme for the quarter and suggested that it should be included in the briefing on drought. Ms Baker stated that it should be under infrastructure management not drought relief programme. Mr Basson remarked that if the Department maintained infrastructure more water would be stored in the dams. Ms Baker remarked that the Department should have a dam management programme. She raised the issue because the Department was losing capacity in dams because of lack of infrastructure therefore it was a pertinent that the Committee revisits the issue, the Committee was not seriously addressing the issue. The Chairperson suggested the programme could be slotted under the second and third quarterly review but remarked that the dam management programme might become lost if the Committee did not follow-up with the Department. Mr Basson agreed with Ms Baker’s proposal because the Department had stated that they would budget for the programme during the financial year. He suggested that, the Committee should alert the Department. The Chairperson asked if Mr Basson was suggesting that the dam management programme issue was to be discussed outside the second and third quarterly review. Mr Basson suggested that the Committee should write a letter to remind the Department. The Chairperson observed that the Committee did not have any updates on the Acid-Mine initiatives at Germiston because the Committee had been told during the oversight visit in 2014 that a plant would be in place to curb the dangers of acid water pollution. The Department had stated that it takes one and a half years to have such plant in place. He invited the committee to comment on progress on the Acid-Mine initiatives. Ms Baker remarked that during her oversight visits last week she had discovered an upstream coal mining operation on the Umfolozi River. It was not new because the river is dry already. She suggested that the Committee investigate plans by the Department to establish new coal mining operations near rivers that were in Game protected areas and drought stricken areas. In addition, she suggested that the Committee request a feedback from the Department on the impact of acid rain on rivers situated near coal mining operations. The Chairperson instructed Mr Manungulana to note and investigate the request. He observed that there were inputs on the Water Research Amendment Bill and Norms and standards for tariff settings in the Draft Annual Report on the Activities of the Committee. These were milestone achievements and the Department would give reports on these milestones during the year. Ms Baker also stated that the Department would need to give update reports on the Water Use authorisation applications as the year progressed. The Chairperson accepted Ms Bakers’ suggestions. Ms Baker observed that page 40 showed some objectives were met but remarked that the report did not reflect some outcomes. The Chairperson supported Ms Baker’s line of thought. The Draft Annual Report on the Activities of the Committee had indicated an agenda but there were no resolutions on key areas or progress made. The draft was faulted based on the formatting because when the reports were read by others the language of the report should be understood. Consequently, the Draft Annual Report on the Activities of the Committee was to be archived until the amendments and resolutions were incorporated. Ms Dawood asked the Chairperson if the Draft Annual Report on the Activities of the Committee was to capture resolutions from previous meetings. The Chairperson replied that the Draft Annual Report on the Activities of the Committee should include the resolutions on Agenda items. Mr Chauke asked for clarification on the guide at the National level on the reporting format for achievements on strategic objectives of the Department. This guide would be used to access the achievements during the Medium-Term Framework because the Committee is guided by oversight of Department functions. He suggested that the Committee needed to dedicate a chapter that listed the assessment criteria on the strategic objectives of the Department that would be used to access the achievements of the Committee because without the Department the Committee would not have any work. The Chairperson agreed that Mr Chauke’s submission made sense and resolved that the Committee would incorporate this in the Draft Annual Report on the Activities of the Committee. Ms Khawula also agreed with Mr Chauke’s suggestion and said she personally felt that the Committee did not achieve much because the Department did not work as efficiently as it should have done. She appreciated the Chairperson for supporting the suggestion of Members to invite the MEC’s and heads of Water Affairs in the municipalities for discussions on making a difference in people’s lives. Ms Kekana remarked that the Committee needed to look into the challenges faced and come up with solutions. The Chairperson asked the support staff to take note of the comments and agreed that the Committee needed to revisit the Draft Annual Report on the Activities of the Committee. The Chairperson invited the Committee to make comments on the Strategic Plan. Ms Baker commented on the Water Resources Strategy and asked how the Committee would monitor the Climate Change Adaptation Strategy for the Water sector. The Chairperson invited Ms Dawood to comment. Ms Dawood reported that the Portfolio Committee on Environmental Affairs was the lead Department on Climate Change Strategies. Ms Baker remarked that the Committee needed to play a direct role on Climate Change strategies particularly because water had an impact on drought. She suggested that the impact of Water Resources on Climate Change Strategies should be reviewed. Mr Cebekhulu observed from the earlier remarks of Ms Baker on mining activities water supply was affected and also contributed to drought challenges in the country. He suggested that the Departments of Water and Sanitation (DWS), Mineral resources (DMR) and Environment Affairs (DEA) needed to look at ways of collaborating with conservation groups that protect the rights of people that consumes water polluted from mining activities. Mr Chauke said he became aware that Government had given the DEA a lead role on oversight functions when the Chairperson had embarked on the trip to Morocco. The Committee needed to emphasise the relevance of the Department by asserting the Committee’s position to Government as it affects water and sanitation matters to ensure that the DWS participates on such oversight functions. The Chairperson remarked that water supply is at a central position in drought issues therefore, the Committee needed to assert itself especially because of the rural areas in the country. He also suggested that the Committee needed to conduct pilot programmes in villages that state how many Jojo tanks are in specific villages. He emphasised that this pilot programme demonstrates the mitigation activities of DWS. He proposed that the Committee had a Joint session on reports from Morocco and practically state how best the Committee could engage in programmes while being guided by the DWS and DEAs. Ms Khawula observed that Jojo tanks also had disadvantages because they affected the livelihoods of people due to insect infiltration of the water in the Jojo tanks, which was of serious concern. She suggested that the Committee should look at solutions that could deal with these insects to protect the livelihoods of people. She also asked for suggestions on how people that lived in low cost housing could have access to water. The Chairperson stated that Members should look at how Jojo tanks are used as they could be used for irrigation or swimming pools. Ms Baker and Mr Chauke’s’ suggestion which recommends that the Committee have joint sessions with DEA was vital. DWs had not had joint sessions with the Department of Agriculture, Forestry and Fisheries as well. He instructed the Committee Secretary to note that the issue should be included in the Draft programme. Mr H Volmink (DA) stated that the Committee had not considered the impact of health on water and sanitation in its strategic plan, even though one of the global social determinants of health is water and sanitation. The Chairperson remarked that as earlier mentioned water and sanitation had serious cross cutting areas on most sectors. He instructed the Committee Secretary to include this in the Strategic Plan of the Committee. Ms Baker reminded the Committee that it needed to include a brief on the update of the establishment of the Water Infrastructure Agency in its Draft Plan. The Chairperson asked if it was included in the Strategic Plan of the Committee and was informed that it was on Page 11. Ms Baker suggested that it should be part of the Committee’s programme in the next year. The Chairperson accepted the suggestion. The Committee needed to get an update on the establishment of Catchment Management Agencies (CMAs). Mr Manungulana stated that the Catchment Management Agencies have been gazetted but they have not started operating as independent agencies, only two were presently operating. The Chairperson asked what the state of the CMAs would be as at September 2017. The Committee Secretary stated that she would confirm the state of the CMAs from the Department but at present only two were operating. Mr Chauke stated that the Committee should invite the Department to clarify because the support staff might not have the mandate to confirm such issues. The Chairperson stated that the Committee was already liaising with the Department on the CMAs. Ms Baker suggested that the Department should be instructed to give feedback on the two operating CMAs when presenting their reports for the second and third quarters. The Chairperson accepted the suggestion and instructed the Committee Secretary to include getting feedback on CMAs and IBs from the Departments in its strategic plan. The Chairperson observed that the regulatory issues had a lot of challenges because he was not sure if the Department had the necessary capacity to deal with water polluters and thieves. He resolved that the issues of water polluters and thieves should be factored into the Water Resources Amendment Bill so that the Department and the Committee would be empowered to deal with such issues. Ms Baker observed that there was no follow-up from the briefing from National Prosecuting agency (NPA) and South African Police service (SAPS) who had earlier stated that there was a need to strengthen their operations to prosecute water polluters. She emphasised that the Committee needed to review and follow-up the issue. The Chairperson instructed the Committee Secretary to take note and follow-up with NPA and SAPS. He also accepted Ms Baker’s proposal and invited Mr Chauke to state his comments. Mr Chauke suggested that the Committee needed to address the issues of Capacity development for Members by looking at universities that offered courses that were relevant to Water and Sanitation. Mr Basson stated that university of Pretoria had a five-day course on water and sanitation that was relevant to the Committee but because it was not accredited Parliament did not approve the course. The Chairperson advised any Member that had suggestions on capacity development to notify the Researcher so that the Researcher would give feedback to the Committee. He instructed the researchers and Committee Secretary to work on the suggestions and update the Committee. The Chairperson appreciated Mr Chauke for his contributions. The essence of the review of the strategic plan was to guide the Committee on what to do for the year but emphasised that the Annual Performance plan was more detailed. Although the Committee was not able to conclude because of time, each Member should read through the Annual Performance plan. He called for motions to be raised to adopt the strategic plan with regard to the amendments. Mr Chauke applauded the Chairperson and his team for the good work in putting the detailed documents together. The Chairperson commended the support staff for their inputs.